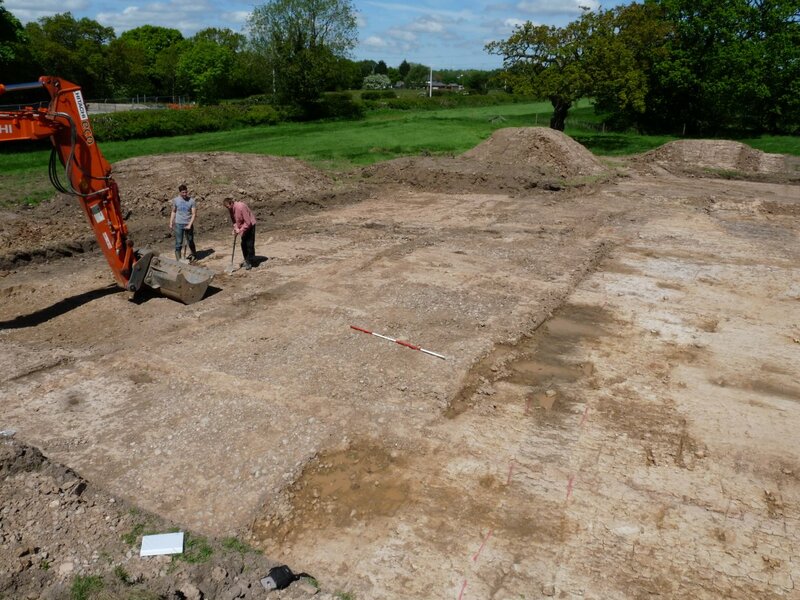 In May and June 2018, excavations, just to the east of Stanifield Lane, were carried out by Salford Archaeology Unit. 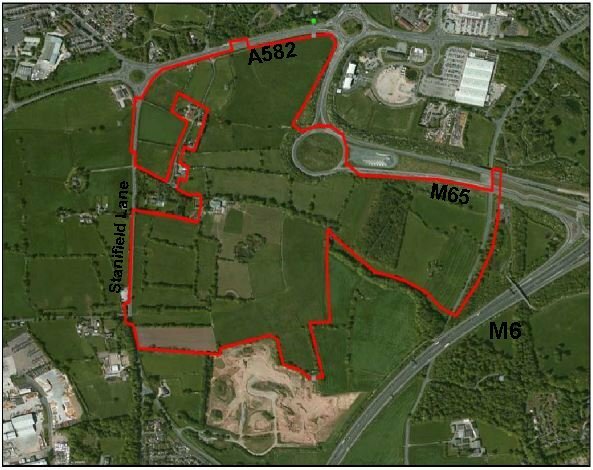 This was in advance of a huge development planned for this area encompassing the Cuerden Green hamlet (which had already began south of the M65 terminus). 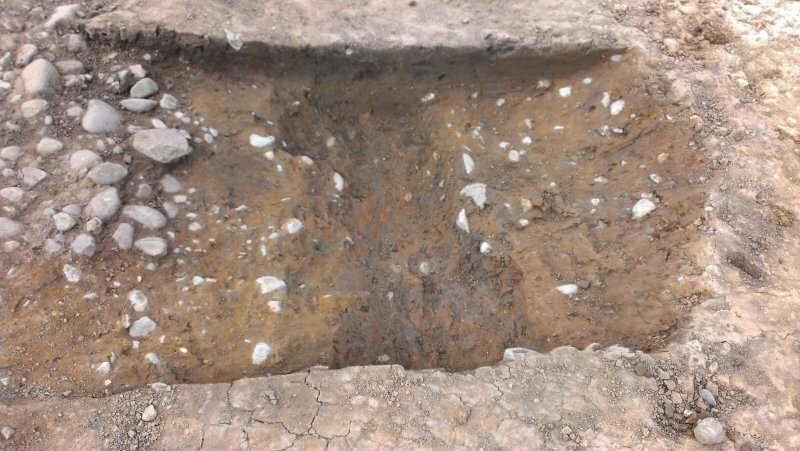 After an evaluation trench had previously discovered a cobble surface, it was agreed that a fully scale excavation should take place. 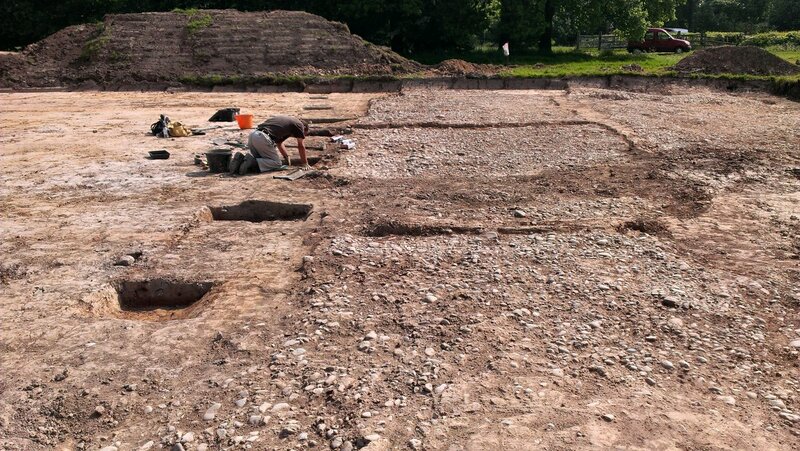 A 30m x 40m area was subsequently machine stripped revealing the full extent of the cobbled surface which stretched something like 10 metres wide along the full length of the excavation. Initially it was thought his maybe a farmstead court yard due to its size. However, with no evidence of occupation and being cambered toward the edges together with a ‘V’ shaped ditch running down the east side, it became obvious this was the remains of a major Roman road. 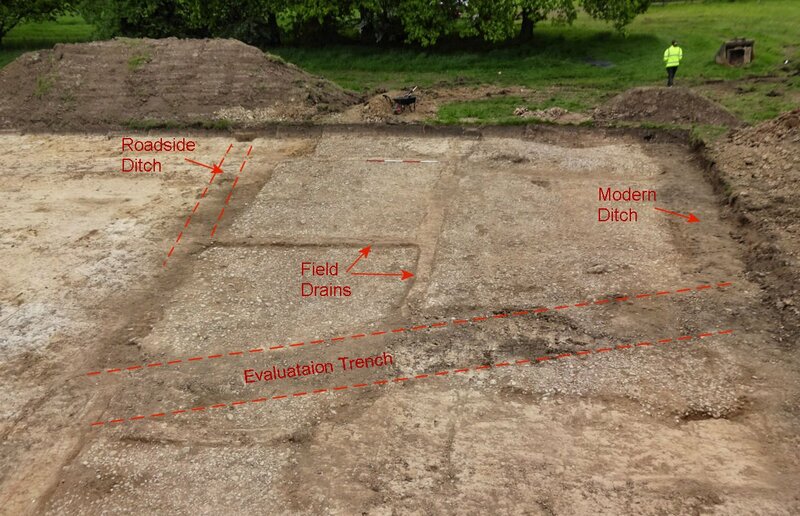 Its position (just 10s of metres to the east of Stanifield Lane) also confirmed the alignment suggested by the discovery of the road at Walton-le-Dale in the 1996 excavations i.e. following Todd Lane, Stanifield Lane and eventually the A49 (Wigan Road) through Euxton (thus forming the major Roman road connecting Wigan with the site at Walton-le-Dale). . There was no ditch on the west side as modern field boundary ditch had destroyed any evidence there. However, a number of cuts through the east side ditch revealed a typical ‘V’ shaped section which varied in size along its length. Where the road survived close to the the ditch, the cobbled surface could be seen cambering into it. A subsequent section through the road showed it to be over 11 metres wide but quite shallow in depth with no underlying surface. 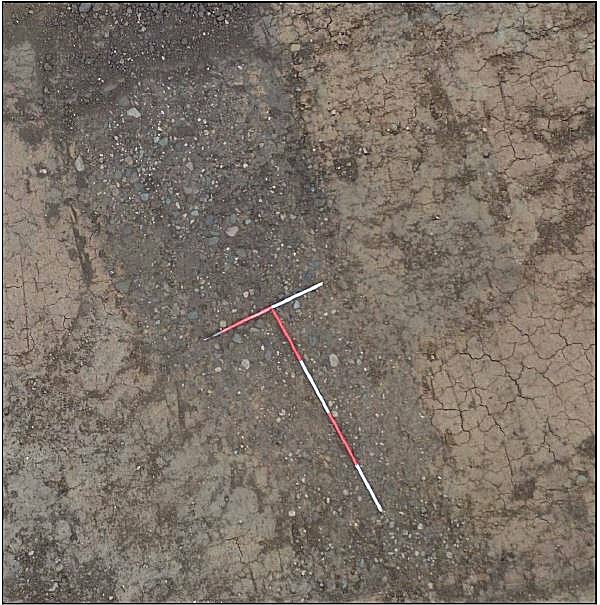 This suggests that the surface may have been cleared or leveled before the road was laid (similar to our findings at Brimelow). This is a totally different method of construction from the method used on the sections south of Wigan (e.g. Landgate) where the original surface had survived together with a clay base supporting large angular stone blocks and topped with rammed gravel. 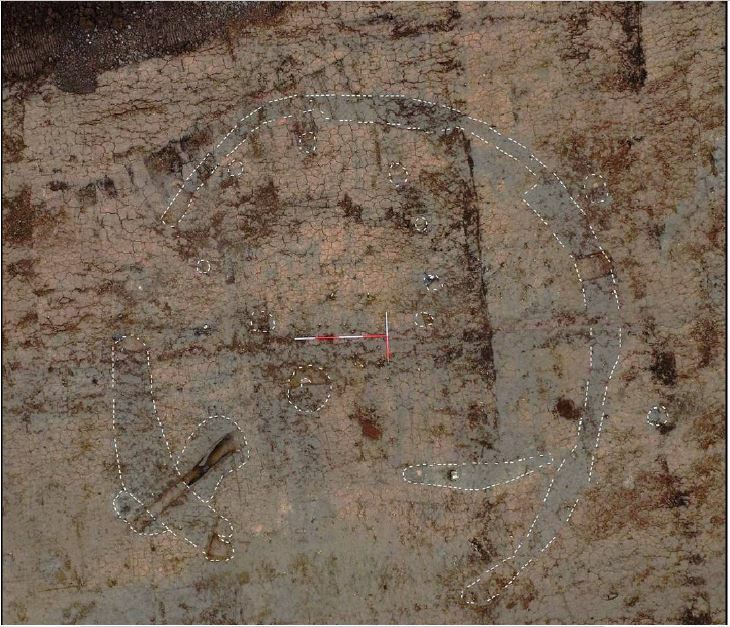 Just a few metres east of the road, a circular feature was also discovered which was suggestive of an iron Age roundhouse. However various sections through the feature and its associated pits failed to turn up any significant date-able evidence for the it. 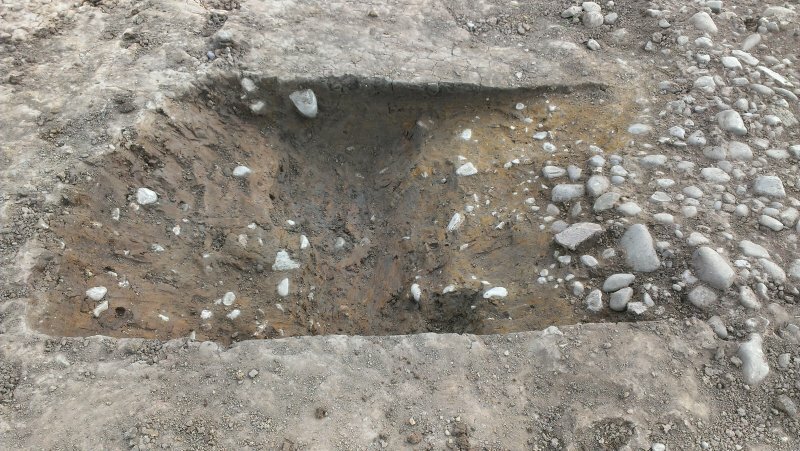 Lying between the circular feature and the road, a strange sunken cobbled feature was uncovered. Although difficult to interpret, it seems likely to be associated with the road (maybe a hard standing for some road construction process). It is also suggested that it could be associated with the circular feature. 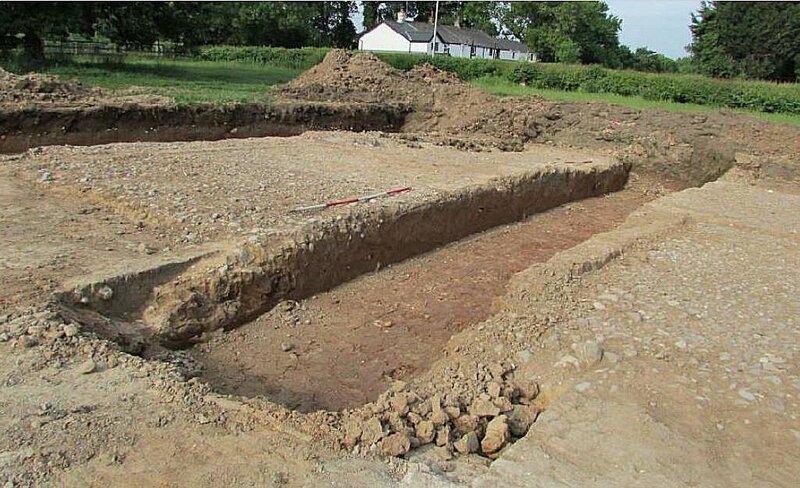 Two other major site where also investigated at that time; one on Stony Lane to the north of this site (a system of medieval field boundaries was discovered there) and another just south of the A582 (where a 17th century farmstead was revealed). All three sites however had to be quickly recorded and closed down as the whole development was put on hold when the major collaborator, Ikea, pulled out (we’re told due to financial reasons). It is hoped that when the development resumes, perhaps in a years time, these sites and more will get the full scrutiny they deserve. 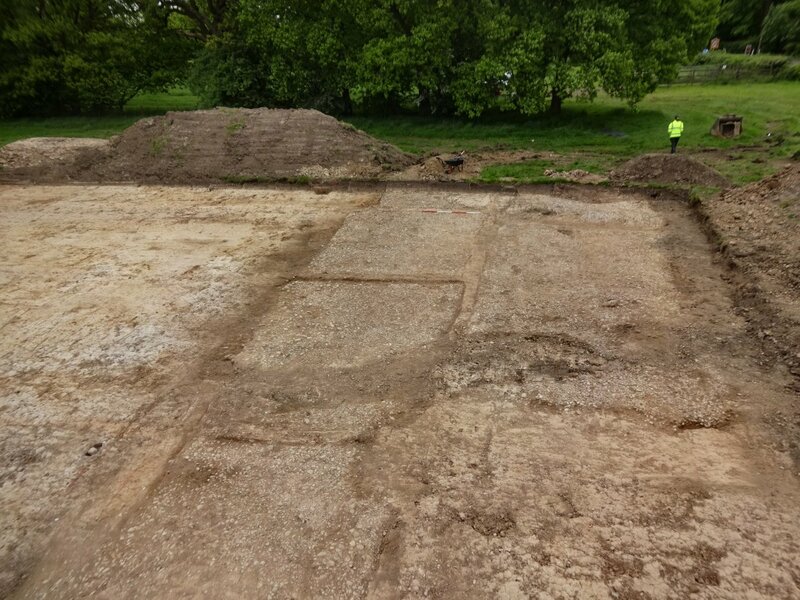 In the meantime the Salford team have published a Post-excavation Assessment which can be found on the Lancs CC planning website here.